Managing your body temperature goes a long way! When it comes to staying safe in cold weather, preparedness and knowledge are some of the best tools you can take with you. Aside from having the right gear and knowing how to use it, knowing how to prevent, diagnose, and treat basic ailments you're more likely to face in cooler temperatures can be a life-saver. Before you head outdoors in the cold, make sure you know what someone who's hypothermic looks like, the ailment's cause, and how to prevent it. You become hypothermic if your body loses heat faster than it can produce heat. When you're exposed to cold temperatures, cold water, or any temperature colder than your body temperature in the right conditions, hypothermia is a possibility. Exposed skin and direct contact with something cold like snow, ice, or water can contribute to body heat loss. Another culprit is wind; combined with wet conditions, wind can rapidly drain your body of heat even if it's not freezing outside. Certain factors can increase your risk of hypothermia, including age, alcohol or drug use, certain medical conditions, and medications you're taking. Though it's tough to measure your body temperature in the field, there are a variety of signs and symptoms to be on the lookout for when you're outdoors. Frozen body tissue is really, really bad news, and can result in permanent damage. But a lot can happen to your body between a normal body temperature (37ºC) and frozen tissue (0ºC), and knowing what those things look like could save your or a trip mate's life. If the body temperature drops into the 34-35ºC, that's mild hypothermia. The brain still works, autonomic responses to fight the cold like full body shivering and increased production of hormones like epinephrine (adrenaline) will be activated. Drop into the 33-34ºC range and the victim might start breathing more rapidly, feel dizzy and/or nauseous, and experiencing compromised mental functions like trouble speaking and slight confusion. 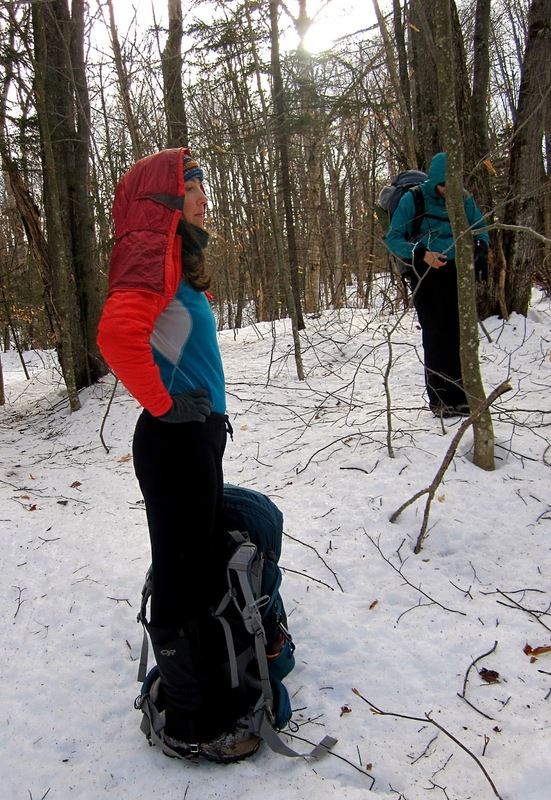 Prevention is the first step to avoiding hypothermia. Layering properly makes a huge difference! Moderate and severe hypothermia are significantly more dangerous. If the body temperature drops into the 30-33ºC range, the victim will exhibit further compromised cognition and coordination functions. Speech may be slow and slurred. The victim's hands won't work like they should. They might appear confused and make odd decisions, like trying to remove clothing. At this stage, self-protective mechanisms will stop working, i.e. the victim might stop shivering. To protect vital organs, blood will be shunted toward their core. Their fingers, nose, ears, and lips may appear pale, ashy, gray, even blue. They may not have the coordination and cognition needed to adequately help themselves and might show lack of concern about their condition. At this stage, you've got a medical emergency on your hands. If the victim's body temperature drops below 30ºC, cardiac output is reduced, they'll respond less to light and other stimulants, and they run the risk of brain death. The majority of people with body temperatures at 27ºC or below are comatose. Their heart rate and breathing slow down so much that it can become challenging to tell if the victim is still alive. They may also go into spontaneous cardiac arrest. It helps to have supplies to make warm liquid if needed. So, what happens if someone in your group starts experiencing some of these symptoms? If untreated, hypothermia is a true medical emergency. Seek immediate medical attention for anyone who appears to have hypothermia and get them into an environment where symptoms can be treated as quickly as possible. If the victim is severely hyopthermic, they can't be warmed up effectively without professional help. They need to be in a hospital. But if help is far away, there are some things you can do until help arrives. Get the victim to a warm place if possible, moving them as gently as you can. Avoid jarring movements, including rubbing or massaging the victim. If the victim's clothing is wet, remove it and replace it with dry clothing. Cover the victim with warm, dry blankets, leaving the face exposed, and keep them insulated from the ground. If you have a sleeping bag handy, getting into the sleeping bag with them to share body heat is an option. Warm liquids free of alcohol and caffeine can be given to the victim by mouth if they're awake and able to drink. If necessary, medical professionals might use techniques like blood rewarming or warm IV fluids to treat the victim once they're in a hospital. The best way to deal with hypothermia is to avoid getting it. Know the signs and symptoms. Know that feeling cold and shivering is a warning sign. Once you begin having altered mental status, you're less likely to be able to recognize that you have a problem and less able to do something about it. Also, a prolonged fight to stay warm, even if you're winning, consumes a lot of energy. Keep adding fuel to the furnace. Carbohydrates are great for that; if your glycogen stores become depleted, your temperature will drop more easily. Think twice about consuming alcohol in situations where you're more susceptible. Srinking can come with increased risk of hypothermia. Remember, the thermal conductivity of water is about 30 times that of air. Translation? You'll get colder a lot faster if you're wet, so don't get wet. That includes sweating while you're playing outside in the cold. Avoid overheating, wear layers, keep your extremities covered, and keep your clothing dry. Know that you'll lose more heat from your extremities, which as far as your body is concerned, are expendable when you're fighting to keep vital organs from freezing. Blood gets shunted away from your extremities to your core where the important stuff, like organs, live. Then we start getting concerned about frostbite/nip. This article isn't an exhaustive list of all things related to hypothermia, nor is it a substitute for medical training, but hopefully it's a good place to start for anyone with an interest in playing outside in the cold! Huge thanks to my paramedic partner in crime for helping me get this written. Have you or anyone you know been affected by hypothermia? What else would you add in terms of diagnosis, treatment, and prevention tips? We'd love to hear from you in the comments! Sources: The Mayo Clinic, Diseases and Conditions, Hypothermia, Medscape, and Daniel Herscovitch, NRP.